The real estate market across the country in 2018 and into 2019 is continuing to be hot. If you are considering buying a home in this market this or next year, below are some trends to be aware of. In February 2018, data from Realtor.com showed that homes were selling 8% faster than the same time a year ago. They were only staying on the market for an average of 83 days. In March 2018, it was found that homes were selling a week faster than a year ago in 36% of the largest markets in the US. Prepare financially: Be ready to have at least a 20% down payment on your home. This will prevent you from paying private mortgage insurance. You also should be pre-approved for a 30 year mortgage so that buyers know you have the ability to close the sale. Know the home you want: You can beat your competition by knowing exactly what you want in your home. That way, when you see one that meets all of your criteria, you can make an offer immediately. Write a letter: If you are in a hot market, you may want to include a personal letter with your offer. Write what you love about the house and what it will mean to you and your family. Over the past 30 years, home prices have risen between 3-4% per year. But the boost in listing prices from 2017 to 2018 has been almost 10%. As of March 2018, the median list price across the US was $280,000. Most newer homes are more than $350,000, while the others remain between $200,000 and $300,000. Only 1/3 of homes are under $200,000. For buyers, this means you really need to know how much home you can afford. Crunch the numbers on a good mortgage calculator and determine how much of a payment you can handle. Also, commit to staying within whatever your budget is. Do not rush a home purchase that does not make good sense for you, no matter how much pressure you feel to make a move based upon what other people are doing. It is expected that home prices will rise by 2-6% for the next two years. So, if you want to buy, note that you will be paying more through 2020 most likely. You will need to adjust your budget accordingly. Anyone who lived through the last crash could be afraid it could happen again. While prices are up markedly in the past three years, it is unlikely we will see a downturn like 2008 and 2009. 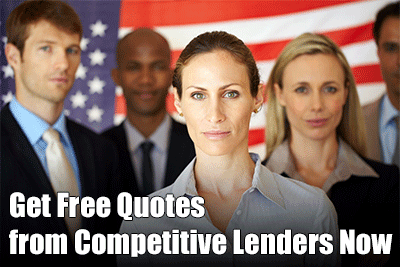 Lending practices have changed dramatically. The ease of getting credit back then artificially raised demand for housing and once people could no longer afford the mortgages when rates on ARMs went up and unemployment soared, a crash was inevitable. For most markets, the risk of a major downturn is quite low. Be on the lookout in the hottest markets of California, however! Whatever is going on in the market in the next year or two, you will always have a better chance of doing well buying a home with an agent experienced not just in your city but in specific neighborhoods you are considering. With higher demand for homes at higher prices, a good realtor could be invaluable for making your home purchase dream come true.